In this short story prequel to The Girl in the Steel Corset, Finley Jayne finds herself fired yet again for her violent behavior, which she cannot control. Nervous about finding another position, she's surprised when one is offered to her almost immediately. She is to become a companion to Lady Morton's daughter Phoebe, who is engaged to be married to a most eligible catch... twice her age. Finley knows she's not the companion sort, but something is off about Phoebe's fiancé, and Finley's darker nature won't let the truth stay hidden for long. This short story is a little longer than your average one at nine chapters, but it offers the perfect glimpse at Cross's steampunk world and gives you a taste of Finley's delightful, strong, and sassy character. There are some nice bits of danger and drama, with some creepy twists befitting of the steampunk setting. 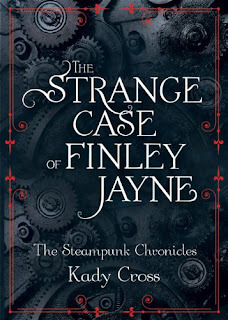 "The Strange Case of Finley Jayne" is entertaining and easy to read, no matter if you're reading it before or after The Girl in the Steel Corset. Just be forewarned--if you haven't already, you'll most definitely want to read The Girl in the Steel Corset after you're through. The e-book is currently free, but even if it were to revert back to its list price of $2.99, this short story would be well worth the money. Also, The Girl in the Steel Corset will be released on Tuesday! Click here to read the free e-book short story before then! Next to read. Thanks for the recommendations. That's why I kept on crossing here. I'm actually done reading Wild Roses by Deb Caletti, also featured here last month. Thank you for the great recommendations. 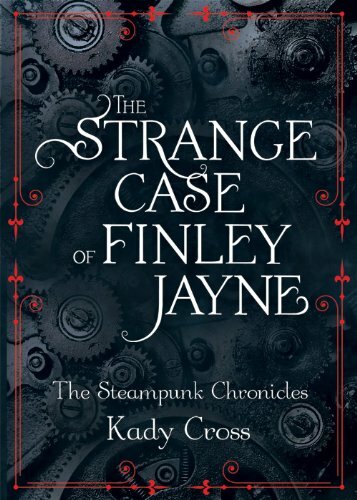 I'll read The "Strange Case of Finley Jayne" after I finished "The Girl in the Steel Corset". I'm still in the 4th chapter if it.